Seminarians and Novices. That seminarians and men and women entering religious life may have mentors who live the joy of the Gospel and prepare them wisely for their mission. Following Christ, we are all called to be missionaries. 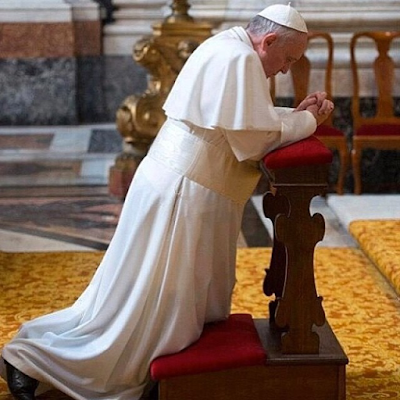 Pope Francis wrote that “if every baptized person is called to bear witness to the Lord Jesus by proclaiming the faith received as a gift, this is especially so for each consecrated man and woman. Since Christ’s entire existence had a missionary character, so too, all those who follow him closely must possess this missionary quality” (World Mission Day Message, 2015). Those who have experienced the deep love of the Heart of Jesus and give themselves totally to God’s service as priests and religious sisters and brothers—these consecrated ones are called to share his passion for mission. They cannot keep the Good News of God’s love to themselves. But they need preparation so that their initial experience of God’s love may grow and so that they will know the best ways to share that love. We join Pope Francis in praying that dioceses and communities may commit some of their best people to the formation of future priests, sisters, and brothers. How am I helping in the education and formation of future priests, sisters, and brothers? Acts 18: 24-28 Priscilla and Aquila took Apollos aside and explained to him the Way of God more accurately.